Imagine taking a plane tomorrow. Upon arrival at the airport, you are being informed that your plane will fly on autopilot only. And that, for safety reasons, the cockpit door has been welded shut and the human pilots have been removed from the plane. 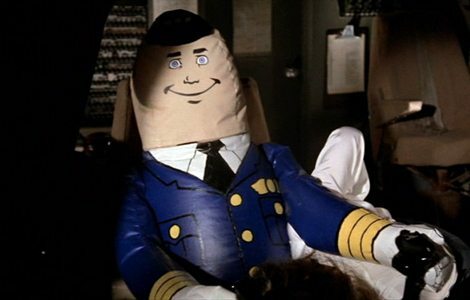 The airline shows you stats that more than 80% of airplane crashes are caused by human errors and that their autopilot has more than a hundred billion hours of flight experience – compared to the hundred thousand hours of the most seasoned human pilots. Question: would you get on that plane? If you’re like the vast majority of people, including myself, you would not. You’d wait for the next flight. The one with human pilots. Or take the train. The emotion of trusting a human being over technology is completely natural, especially when it comes to decision making – even if there is solid proof that the technology outperforms the human being. In psychology this is sometimes referred to as algorithm aversion or automation anxiety. One of the main reasons why we prefer humans making decisions is that we can forgive them if they make a mistake. But can we forgive technology? Who is there to forgive if a self driving car kills a pedestrian? We can overcome our algorithm aversion. But only if we carefully cater to the human psyche. One of my favourite examples of this is the adaptation of the automatic elevator. The automatic elevator was invented in 1900, fifty years after the invention of the non-automatic elevator which required a professional lift operator to manually start and stop it. The automatic elevator was a radical innovation and… a radical failure. People refused to get on them – ‘where is the operator?!’. Building owners refused to buy the automatic elevators and the innovation was killed. But then, in 1945, in New York City, there was a six week elevator operator strike. It led to chaos in the city and building owners demanded a change. The elevator industry responded with a re-launch of the automatic elevator. But this time they added a few features that were based on psychological research into human emotions. The new elevators now got equipped with: 1. A big red stop button. 2. An alarm button. 3. A phone connected to a support line. And as people were still anxious, they added… elevator music. It might be annoying today, back then it relaxed us. Last but not least, the marketeers got to work, showing adds with toddlers and grandmas riding the automatic elevator. Message: if it’s safe enough for children and grandmas, it’s safe enough for anyone. And it worked. These additions calmed us down and we all get into automatic elevators today – even ones without stop buttons and lift music. What is your automatic elevator? What tech do you rationally understand, but emotionally, you’re not ready for? If you have an automatic elevator, what is your grandma and what is your big red stop button? Thimon De Jong is an expert in societal and cultural trends. To book him (or any other speaker) for your event contact JLA.